Ariana Grande remembers her former late boyfriend Mac Miller on his birthday. American singer Ariana Grande didn't forget her late ex-boyfriend Mac Miller on his birthday as she shares some cryptic message to honor the dead rapper. If alive, Miller would turn 27 on Saturday. Although gone four months ago, his ex-girlfriend, as well as his fans and many celebrities in Hollywood, still remember him. 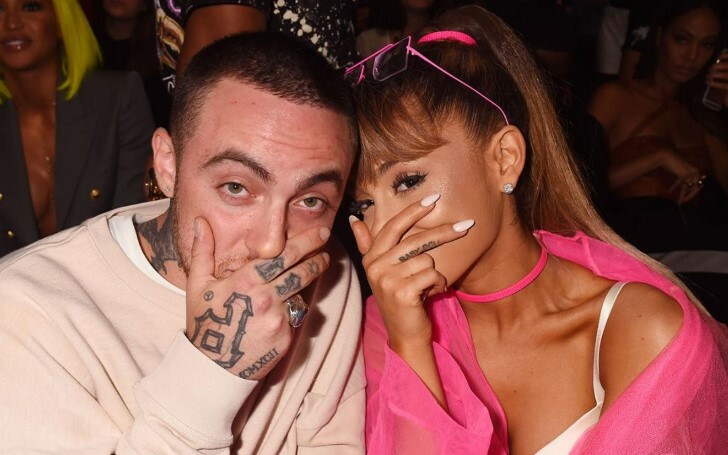 Ariana Grande seen together with her late ex-boyfriend Mac Miller. Grande, 25 shared a short message simply saying "miss you" on her Twitter page at 12:13 AM. The Victorious cast didn't mention nor declare who she meant it for, but many of the fans assumed the singer who retired from dating dedicated the tweet for her ex-boyfriend. A few hours upon sharing the tweet, the singer posted an old picture of her sitting close with the late artist on her Instagram story. The former duo can be seen smiling in the collaged picture shared by Grande. However, the thank u, next hitmaker later deleted the tweet, shared in honor of the rapper's birthday. Mac Miller died on September last year from an accidental drug overdose. More specifically, he overdosed from mixed toxicity, a mixture of cocaine, alcohol, and fentanyl. Ariana Grande constantly shares messages and tribute for him. As a matter of fact, she posted a black and white picture of the late rapper. Grande, even shared an emotional long paragraph note on her Instagram. "i adored you from the day i met you when i was nineteen and i always will. i can’t believe you aren’t here anymore. i really can’t wrap my head around it. we talked about this. so many times." The singer even bestowed her frustration about his drug addiction. "i’m so mad, i’m so sad i don’t know what to do. you were my dearest friend. for so long. above anything else. i’m so sorry i couldn’t fix or take your pain away. i really wanted to. the kindest, sweetest soul with demons he never deserved"
"i hope you’re okay now. Rest." The former pair dated for two years before they parted their ways in May last year. The 61st Grammy ceremony nominated the late rapper in the category of Rap Album for his album, Swimming.